I photographed John Cage - the progressive composer - in the late eighties for the LA Festival of the Arts, Rick Miramontez client. Recently it came to my attention that Mr. Cage - now sadly deceased - was receiving a special merit award from the Grammy’s. 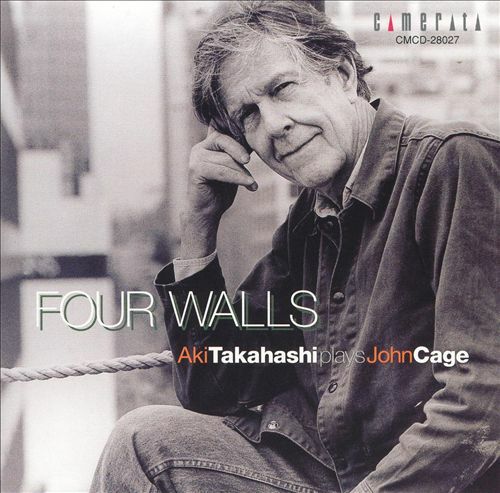 The John Cage Trust (JCT) has made extensive use of my image of Mr. Cage and another use was recently licensed for an album cover for Aki Takahashi for her album “Four Walls”. 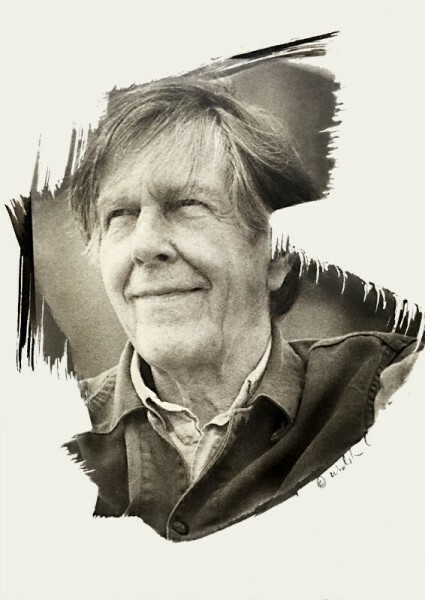 Album cover portraying John Cage for Aki Takahashi. In addition to the uses by the JCT, I reproduced the image of Mr. Cage for an in-house promotion using a unique technique, I called it a painted emulsion. Essentially it is a photographic emulsion hand “painted” onto card stock, exposed to strong sunlight and processed in an old world developer. I used these cards as a mailing promotion to my clients to announce this new process and several commissions resulted from the promotion. As a gesture of congratulations to the JCT for the Grammy award, I donated a dozen or so of these one of a kind original prints that I recently uncovered in a review of my archives and library. The nearly frameless treatment of the print could be considered an early precursor to my digital collage work.